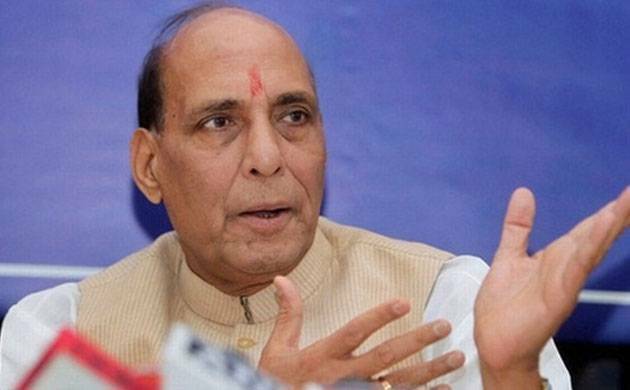 The decision to carry out cross-LoC surgical strikes last September was taken at an emergency meeting chaired by Prime Minister Narendra Modi soon after terrorists attacked Uri army camp, Home Minister Rajnath Singh revealed on Sunday. “When the news came in September (last year) that terrorists attacked an Army camp (in Uri) and killed 17 jawans, an emergency meeting was convened in which the Prime Minister, the Defence Minister and I, along with officers, took part. A firm decision was taken that a surgical strike will be carried out,” Singh said. Indian Special Forces carried out surgical strikes on seven terror launch pads along the LoC in Pakistan-occupied Kashmir on the intervening night of September 28 and 29. The Army had said “significant casualties” were inflicted on the terrorists and their supporters in the strikes. The surgical strikes were carried out 11 days after the terror attack on the army camp in Uri in Kashmir. “Through the surgical strike, we have given out a message to the world that we are not weak but a strong nation,” the Home Minister said while addressing a programme. He said this while asserting that the Prime Minister has been firm in tackling terrorism and the surgical strikes bore testimony to this. Singh recalled that in 2014, he himself had asked BSF “not to count bullets” while replying to Pakistani firing from across the borders. “In September 2014, I came to know that five people were killed in firing from across the LoC. I immediately called up the BSF DG to inquire what BSF was doing. He told me that BSF had shown white flag 16 times to communicate that BSF wants a dialogue. But there was no response from Pakistan. “I then ordered the BSF DG that from now on if a single bullet is fired from Pakistani side, BSF should not count its bullets while answering them,” he said. Singh, however, said that common people of Pakistan, including Muslims, were in favour of good relations with India. “But unfortunately there are certain elements who want to take the route of terrorism and hatred. Now, from the terror attacks in Pakistan, one can see that terrorists do not have religion, caste or creed,” he said, adding “a terrorist is just a terrorist”.